There are many different types of hernias. The main types are inguinal hernia (groin), umbilical hernia (belly button) and incisional hernia hernias. A patient will first notice a bulge that can increase in size if it is left untreated. The hernia can sometimes cause pain and possibly involve intestines that can twist inside the hernia sac. If left untreated for a long period of time the intestine can become damaged and require cutting out the damaged bowel. The treatment for inguinal hernias is to repair the defect early before further problems arise. This repair involves a no mesh tension free repair, called the Desarda Technique. This can be done under IV sedation and local anesthesia. For large ventral/incisional hernias bilogic mesh may be required for repair. The small ventral and incisional hernias can be repaired with a triple layered suture repair. This technique is patent pending by Robert Tomas, D.O., FACOS.However, for primary inguinal hernias mesh is rarely used by our center and the floor can be repaired with the patients external oblique muscle and sutured into place with absorbable sutures. What is the data on your 1% recurrence rate for inguinal hernias? These are the number of no mesh inguinal hernia surgeries Dr. Robert Tomas has performed over the last 6 years. Total - 1,524 no mesh inguinal hernia repairs. To date we have approximately 11 (0.7%) documented recurrences and the majority of these were within the first few years. Breast masses can be biopsied in many different ways. They can be biopsied in the office or as an outpatient using intravenous with local sedation or general anesthesia. 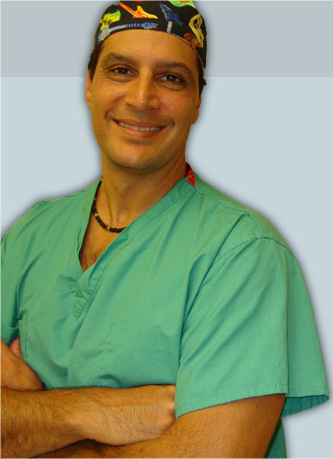 If the mass is palpable Dr. Tomas can have it biopsied with a needle or be removed surgically. If the mass is not palpable then a radiologist must place a needle to identify the mass. Dr Tomas will then remove the mass with the needle and confirm with an X-ray that the mass is within the specimen. If breast cancer is found then Dr Tomas will explain all options of treatment such as lumpectomy alone, lumpectomy with axillary lymph node dissection or mastectomy. If sentinel lymph node sampling is indicated then this also is an option for staging purposes. Patients with problems with their gallbladders complain of pain in the right upper quadrant below the rib cage. This is a problem from a stone being lodged in the duct and blocking the gallbladder from contracting. This is called biliary colic and the pain usually goes from the right upper quadrant to the back after eating fatty foods. The treatment is removing the gallbladder and you will not have any eating restrictions after surgery. Soft tissue masses that arise on the back, abdominal wall or extremities can easily be excised (removed) in the office operating room or as outpatient surgery. The most common masses are fatty tumors (lipomas) or hair follicle cysts (sebaceous cysts). These masses are benign tumors, but cancerous tumors must also be ruled out and that it is why a biopsy is essential. Most common cancerous masses are sarcomas that can arise from muscle, fat, joint, nerves or blood vessels. Cancers that arise from lymph nodes (lymphomas) must also be ruled out with biopsy. Please make your reservation to see Dr. Tomas to have these masses evaluated.